Amazing things can be done on the web. GE has created this unique web drawing tool. Kids will love the "draw with a friend" feature. You too will have fun withImagination Cubed . 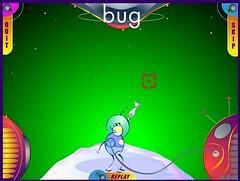 GameGoo is a group of Flash games designed to help develop early reading and language skills. A collection of fun and wonderful games can be found here. While not entirely educational, these games are a great example of what can be done with Flash.